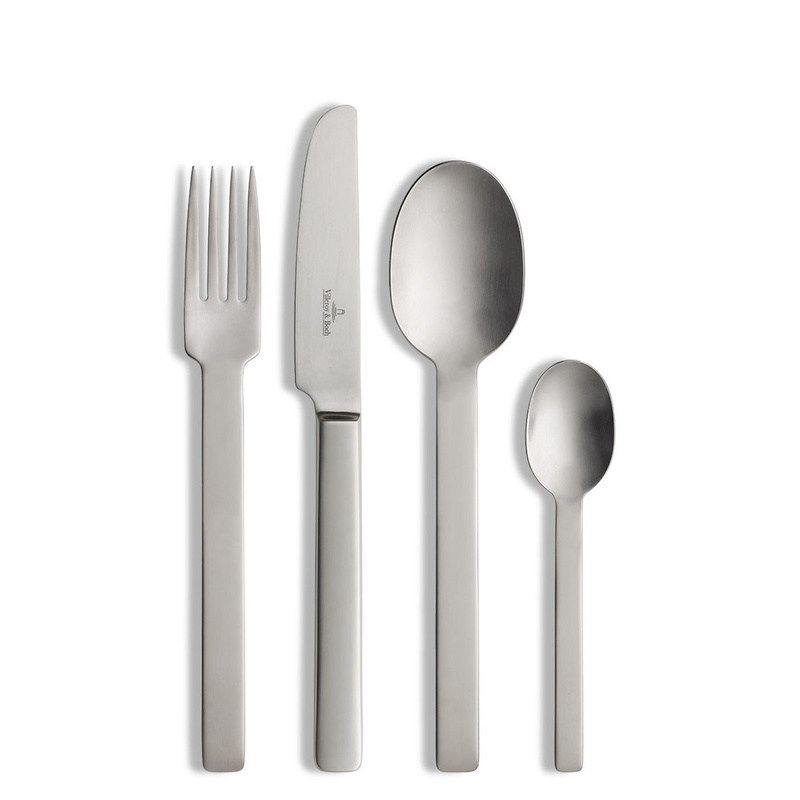 Elegant and sober cutlery set, for the elegant table or every day. The cutlery set One by Villeroy & Boch is an important piece for the table, which allows you to set the table for 6 people. It is a high-quality set, produced using only the best raw materials, in order to obtain very stylish but also very practical pieces, perfect for the table of every day, and also for that of the special occasions. The knife measures 23.1 cm, while the fork and spoon measure 20.5 cm, and the teaspoon 14.0 cm. A very sober and clean set with a glazed surface which makes it even more pleasant. The 24-piece cutlery set One is delivered in its original package, consisting of a beautiful box to comfortably store all the pieces, to avoid ruining them by rubbing against each other. This cutlery is made of 18/10 stainless steel, which ensures great durability over time: you should not be afraid to clean them using the dishwasher or abrasive pads, which do not damage in any way the glazed surface. A cutlery set with a very casual and modern look, designed to fit any kind of table, from the most simple and elegant, up to the informal table of every day. Therefore One is ideal for those who want to use one cutlery set at home, with no need to have a set only for special occasions. Villeroy & Boch cutlery is guaranteed over time, and it allows a use in total safety. In addition, the company name alone is a guarantee of high durability of the products and also a symbol of elegance and luxury. The very sober look of the One cutlery sets make them suitable for the most luxurious table as well as for the most playful and fun, at a party or for another occasion. Since this is a set for six people it can be also an original gift that will be used every day by the person who receives it.